Continuing in the theme of street football commercials that don’t make sense, Nike throws their hat in the ring by unveiling a new high-performance sports car … wait, what? Our thoughts exactly after seeing Nike’s latest ad for the FootballX “Distressed Indigo” pack. In trying to tout the boots’ futuristic look and performance, Nike spent more time showcasing a car than their actual shoe. I’m also not a fan of the multi-colored silhouettes in the MagistaX, HypervenomX and MercurialX. I’m not a fashion designer, but anytime you feature five different colors (neon pink, green, orange to name a few) on one shoe, I think you’re entering into risky territory. 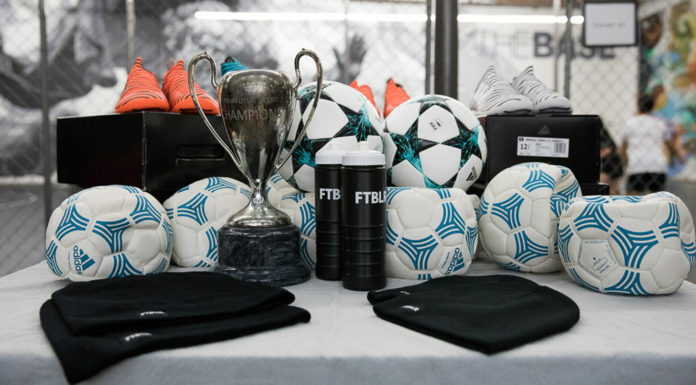 To Nike’s credit, they’ve been really embracing street football and small-sided games overall. In addition, they have been dispatching shoe designers to converse with actual street ballers as part of their company strategy. 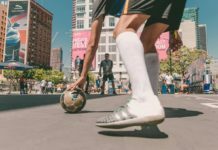 Urban Pitch staff have run across them on multiple occasions soliciting feedback from players including at the recent World Soccer 5s tournament in Las Vegas. Hopefully, they listened and addressed the issues notorious for causing blisters on the heels of the original MagistaX’s. What do you think of their car/shoe ad?